The National Transport Authority (Authority) is a State body set up under statute in 2009, responsible for the regulation of the small public service vehicle (SPSV) sector, i.e. taxis, wheelchair accessible taxis, hackneys, wheelchair accessible hackneys, local area hackneys and limousines, together with their drivers, owners and associated services. At 30 June 2015, a total of 21,209 SPSVs were licensed to the Irish fleet; 17,485 were taxis and wheelchair accessible taxis with c.60% of those in the Greater Dublin Area. 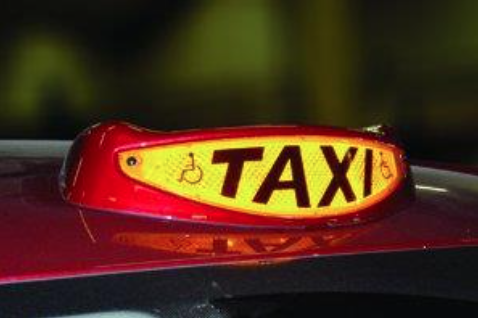 In January 2012, the Report of the Taxi Regulation Review Group was published on foot a wide ranging review carried out in line with a Government decision of June 2011. The Review Group, which was convened and chaired by the then Minister for Public and Commuter Transport, Alan Kelly T.D., included dispatch operators, drivers, vehicle owners and consumers as well as Government Departments and regulatory and enforcement agencies. 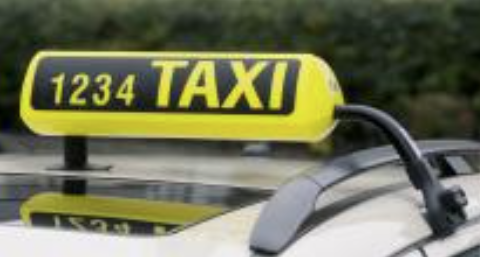 The aim of the review was to allow consumers to have confidence in the taxi system while also ensuring that legitimate and competent operators and drivers could be rewarded fairly by operating under a regulatory framework that is adequately enforced. 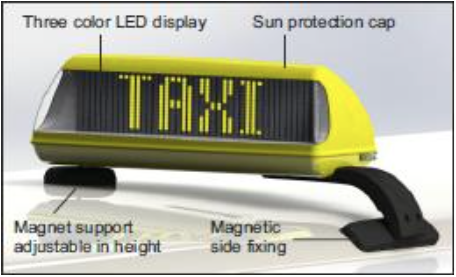 This “Taxi Roof Sign Consultation” derives from the actions recommended within the Report. 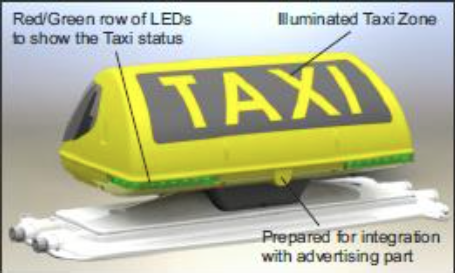 To design, for consultation with the industry, a new taxi roof sign that is more compact, is subject to restricted availability from authorised suppliers, and can display a greater level of information for consumer and compliance improvements. 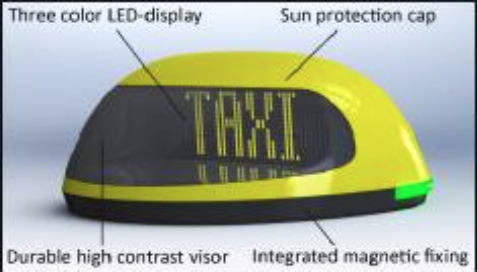 Consideration will be given to the use of electronic displays as part of the roof sign and the future-proofing of the sign to link with future developments in the area of taxi technology. 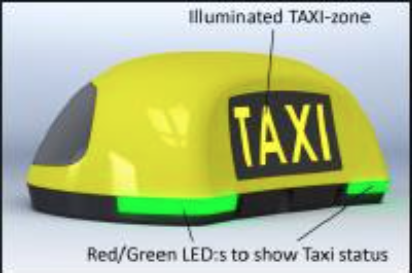 This consultation on taxi roof signs is in response to the recommendation of the Taxi Regulation Review Report. A new roof sign design could range from a simple static informational roof sign through to an interactive electronic roof sign that displayed only data pulled from the live SPSV register held by the Authority via mobile communication links. This latter concept offers potential for a “real time, live location” features to benefit driver and passenger safety. Supply arrangements and level of supply control. In relation to impact on fuel usage of the vehicle, Appendix 1 provides information on fuel economy tests carried out on two vehicle models using the current roof sign design. Two styles of current roof sign in Ireland. A common small UK roof sign. 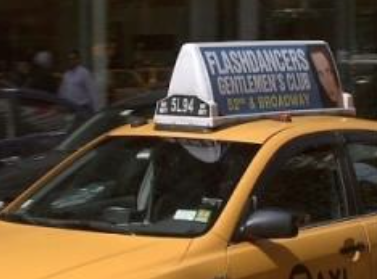 The large combined roofsign plus advertising light box on a New York yellow cab. 1. 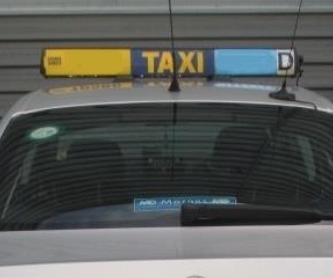 Do you consider that a new taxi roof sign is required? 2. 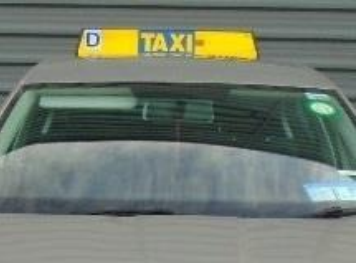 If you do consider that a new taxi roof sign is required, please state any suggestions or proposals that you wish to have considered. Post: Taxi Roof Signs, National Transport Authority, Dún Scéine, Iveagh Court, Harcourt Lane, Dublin 2. Two cars were tested in a full size wind tunnel facility to assess the effects of the Irish type roof sign on overall vehicle aerodynamics. The two cars were the popular taxi model Toyota Avensis saloon, 2006 specification and the hybrid Toyota Prius 2006 specification. Both were tested at 32km/h (20mph) and 97 km/h (60mph) wind speed to assess the effects at town and country road speeds. Both cars were tested empty of passengers but in running condition.